How Does Oxygen Therapy Help a Condition? Oxygen has been used in hospitals for years to aid a patient’s recovery but whether recreational Oxygen Therapy can actually cure a person of a condition continues to be debated by respected medical professionals. Too much oxygen can be harmful but this is not achieved easily. Pulmonary Oxygen Toxicity occurs when a person is exposed to high oxygen levels for over 16 hours in pressures of 0.5 bar or more. Those with potential for exposure to higher levels would be deep sea divers and patients under prescription (consider that anyone administering oxygen at these levels would be trained and licensed). Oxygen Concentrators: An oxygen concentrator is used for delivering high amounts of oxygen to the patient. Roughly depending on the model of oxygen concentrator you buy and how the oxygen is delivered you can achieve a 50-90% rate of delivered oxygen to the patient. You can buy battery powered portable oxygen concentrators which are recommended for more vulnerable patients who are traveling. These do cost more than non portable oxygen concentrators. Oxygen Meters: You can use an oxygen meter to measure the amount of oxygen within the blood with a simple device which connects to the patients finger tip. This process only takes a few minutes, and allows you to move from patient to patient quickly. Taking a reading from a patient is often referred to as pulse oxymetry. Oxygen Medical Spares: It is important to keep your oxygen equipment maintained for health and safety reasons. You need to regularly change filters and hoses to ensure there are no blockages which could damage your equipment. Oxygen masks and nose canulas need to be replaced on a regular basis for hygiene reasons. You should regularly service your equipment to ensure that your oxygen equipment is working to optimal performance. If you have a condition related to or affected by the use of oxygen you should consult with a doctor prior to using oxygen or any oxygen therapy equipment. 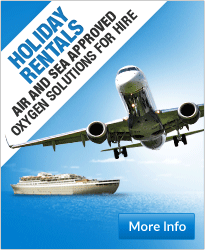 Speak to a specialist supplier for expert advice for your oxygen equipment. 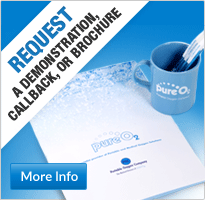 Pure O2 is based in the UK and one of few retailers to specialise in oxygen therapy products. The company is known for providing an excellent before and after sales service and has an international client base. 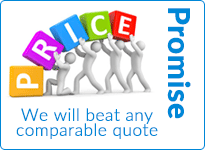 To speak to one of our helpful sales advisors please call 0870 712 0202.